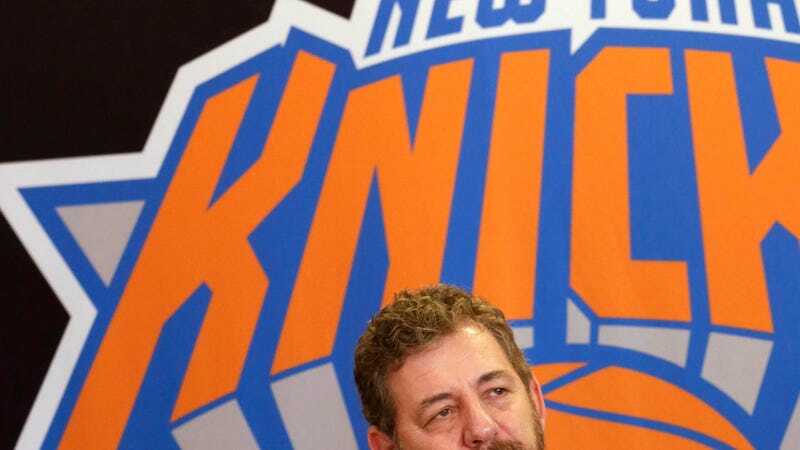 NBA Backs Dolan, Says Knicks CEO "Is A Consummate New Yorker"
The NBA won't discipline Knicks chairman & CEO James Dolan for his ridiculous email response to a longtime fan, with commissioner Adam Silver claiming the Cablevision magnate "is a consummate New Yorker" who "got an unkind email, and responded with an unkind email." Dolan's email to 72-year-old Irving Bierman accused the fan of being an alcoholic who should "try sobriety" and should start rooting for the Nets. Dolan's net worth exceeds $1 billion. The Knicks are 10-41.